In 1998, Neely Trucking expanded its operations to include site work for residential up to a multimillion dollar construction sites. We use only experienced and well qualified employees for the installation of storm drainage, French Drains and all appurtenances. 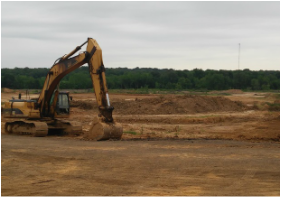 Our operators use the most current hi tech instruments for leveling and grading to meet the specified elevations and density required. Our Project Managers and Estimators are qualified to read civil drawings. Call for a free estimate today.